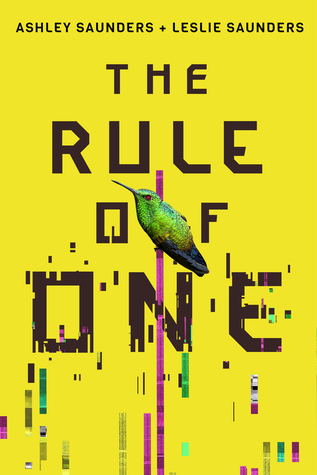 Sign into Goodreads to see if any of your friends have read The Rule of One. That's an awesome review and Thank God your mother survived! How did your grandma keep it your mom a secret? I think you or your mother should write her life story. Ditto Tamara - I was more interested in your family history than this particular book! I just realized there were comments on here! Omg, I am SO SORRY I haven't responded. Esther, my grandmother didn't keep her a secret. She basically just took the abuse in stride, worked a bunch of odd jobs to support the family, and saved up until she could move them all out... immigrating first to Brazil, then finally to the US. Thank you, Tamara and Kila. I know those sentiments will make her happy. I have spent some time "interviewing" her, and recording the bits and pieces down from her and her sister's memories over the years. It has been my intention to either do a family history/memoir, or a fiction story based off of their lives, for as long as I've wanted to write. When we do talk about her childhood, eventually we have to stop because it always ends in tears. She/they really did live through some fantastic and horrifying times. She still remains pretty darn inspirational to me, my family.